Get everything you need with this quality Ultimax2 brake pad and rotor kit which includes pads rotors for BOTH FRONT AND REAR axles and caliper lube. 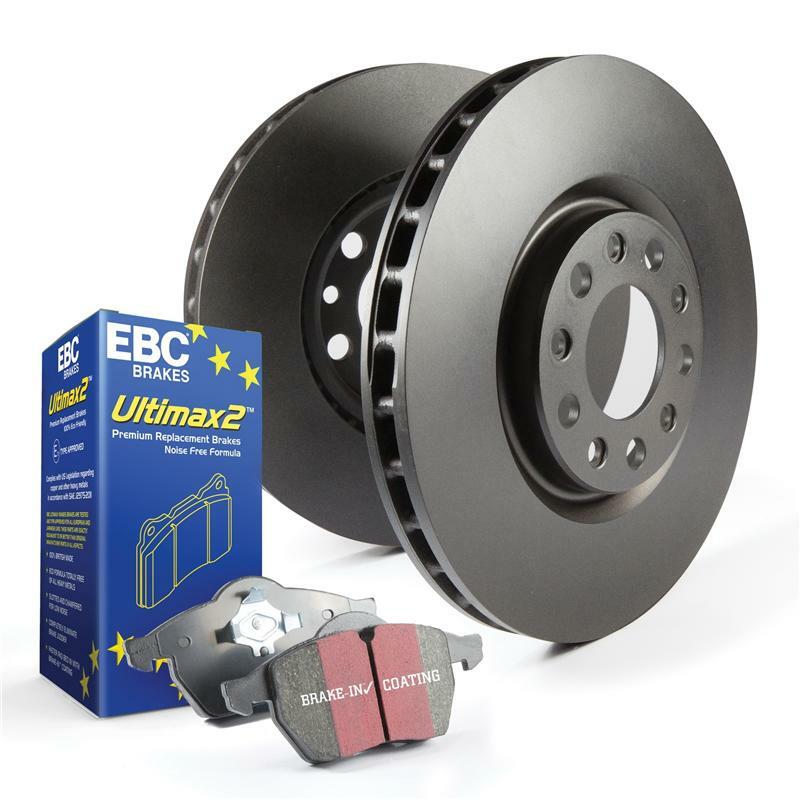 High efficiency Ultimax2 EBC pads built with aramid fiber, fully shimmed and chamfered with patented EBC Brake-in coating for faster pad brake in after install. RK Rotors are a direct fit OEM replacement with geomet anti rust surface coating, fully balanced and runout tested for smooth braking. Balanced and maximum braking effect only happens when all brakes are working and the often forgotten rear brakes account for up to 40% of your vehicles stopping power. Renewing front and rear at the same time makes perfect sense.